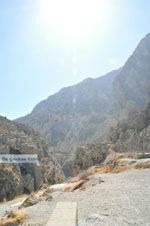 Kourtaliotiko Gorge. 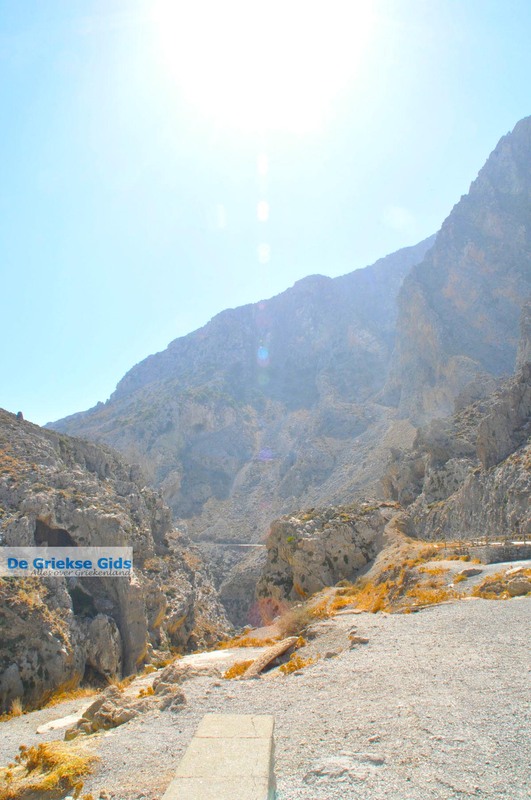 The Kourtaliotiko Gorge, also called the pass of Kourtaliotis, is located in the department of Rethymnon in southern Crete. 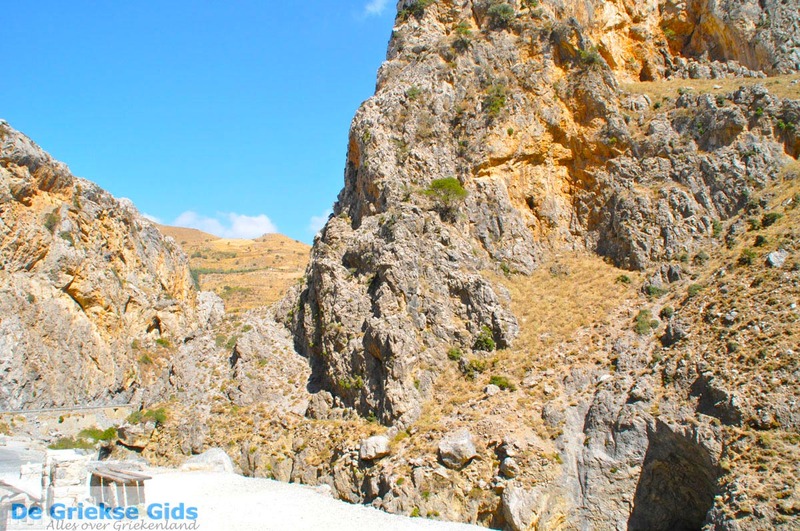 The gorge is 22 kilometres south of Rethymnon city. You can make a very nice walk here. 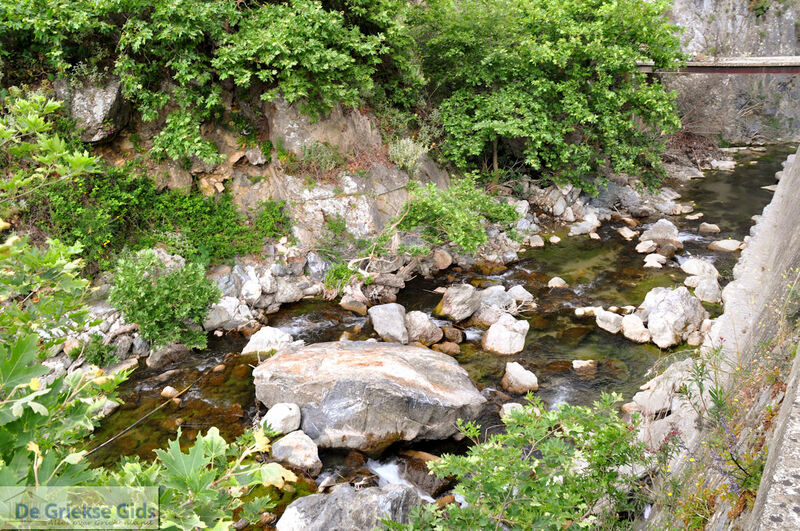 In some places the hike (which takes more than four hours) goes through water that may come to knee or hip height, so it can only be done in July and August. 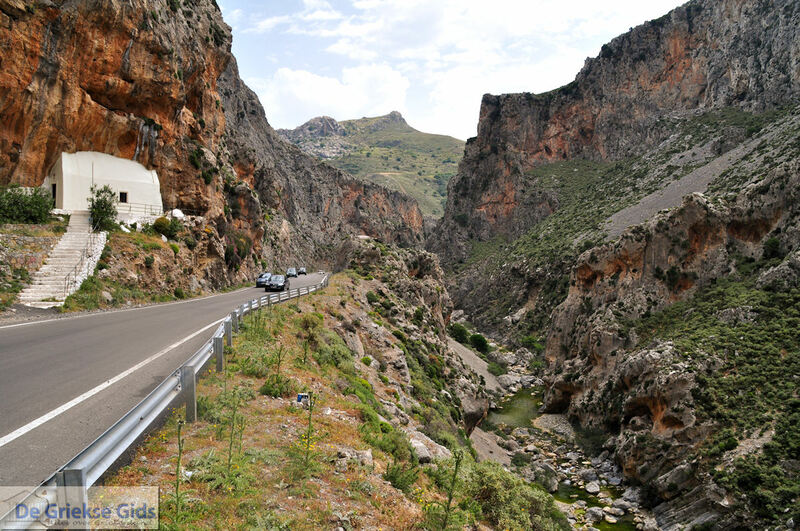 The gorge starts at the village of Koxare and runs between the mountains Kouroupa (984 m) and Xiro Oros, meaning dry mountain (904m). 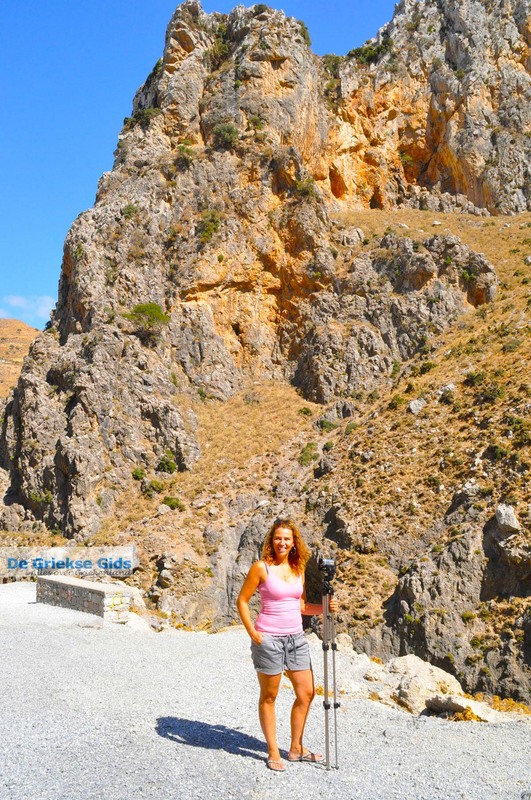 The ending is at the beautiful Preveli beach with palm trees. 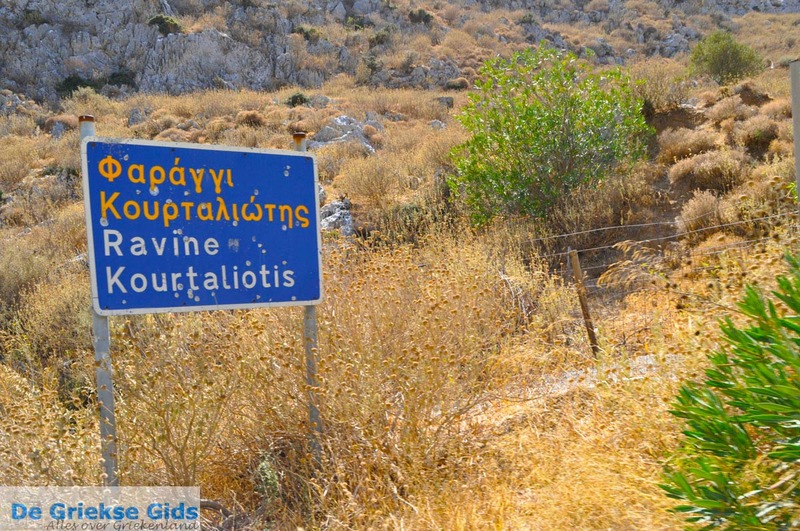 The name "Kourtaliotiko" is due to the sound that is detected here when there is a strong wind blowing. The sound of the wind beating against the rocks resembles the sound of kourtalis, these are castanets. 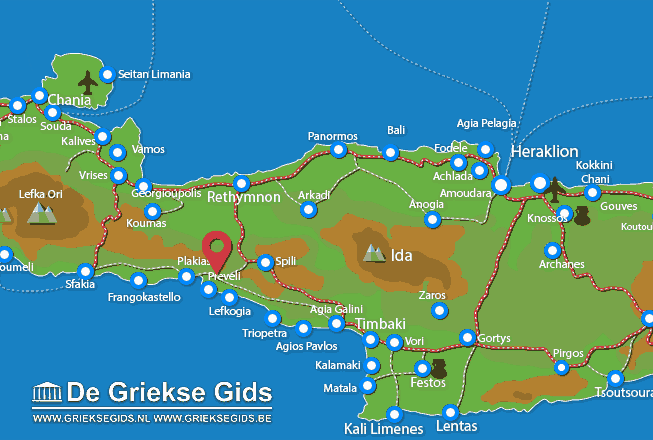 Halfway through the pass is a path that leads to the church of Agios Nikolaos.The Kourtaliotiko pass is immensely beautiful and impressive and is of great biological and ecological value.The gorge has beautiful waterfalls and is home to many rare species of Cretan plants and animals and is known for its birds. The dense vegetation and high steep cliffs on both sides are characteristic of this environment. 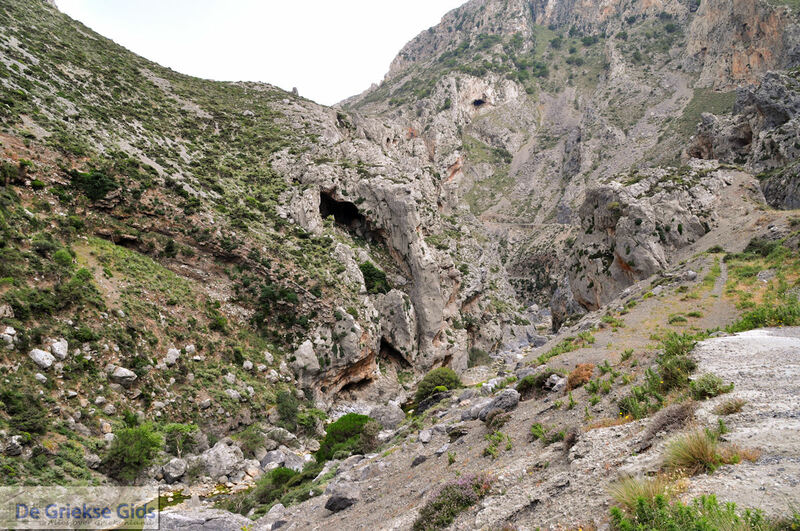 The sheer rocky slopes of the gorge are full of holes and caves. 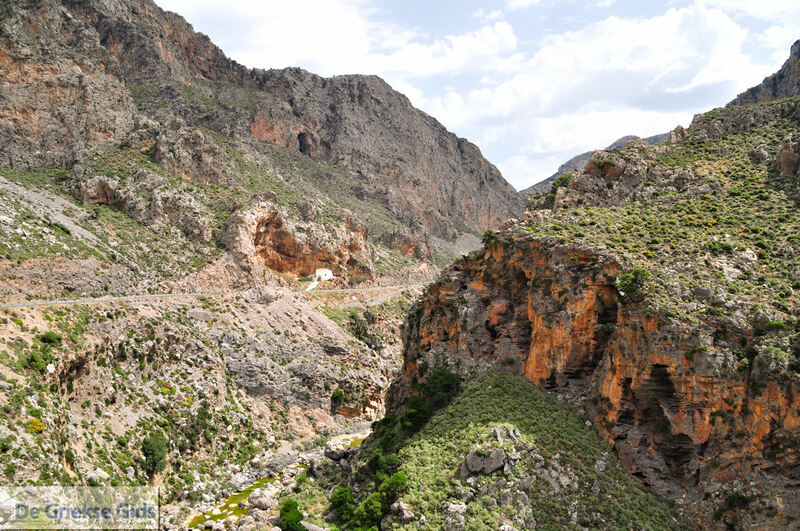 It is a masterpiece of nature that is worth visiting. 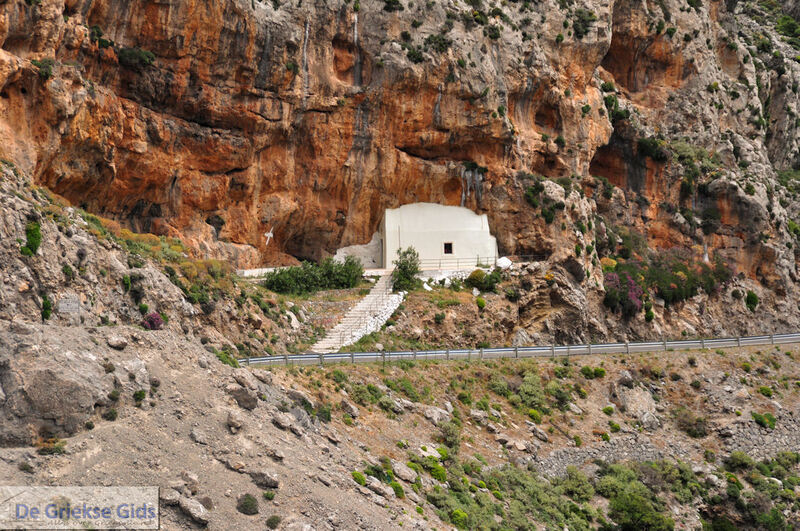 It is one of the most spectacular natural attractions of the department of Rethymnon. 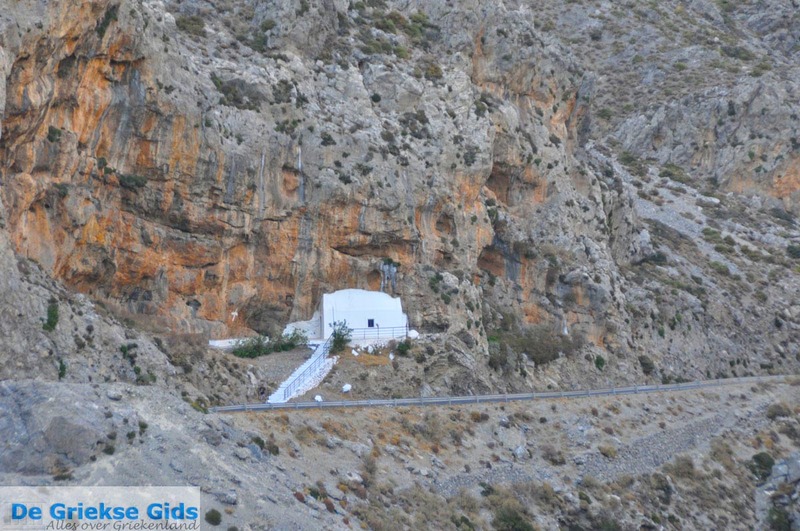 Rethymno Prefecture: Where on the map is Kourtaliotiko Gorge located?